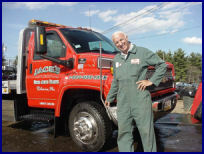 Jack's Used Auto Parts is committed to providing the highest level of new and used quality parts at the lowest prices. We ship from ship UPS across the continental United States! Are you looking to save money? Jack's can help! Jack's has thousands of used parts in stock ready for pickup at great prices! Our online search system makes it easy to find the part you are looking for.